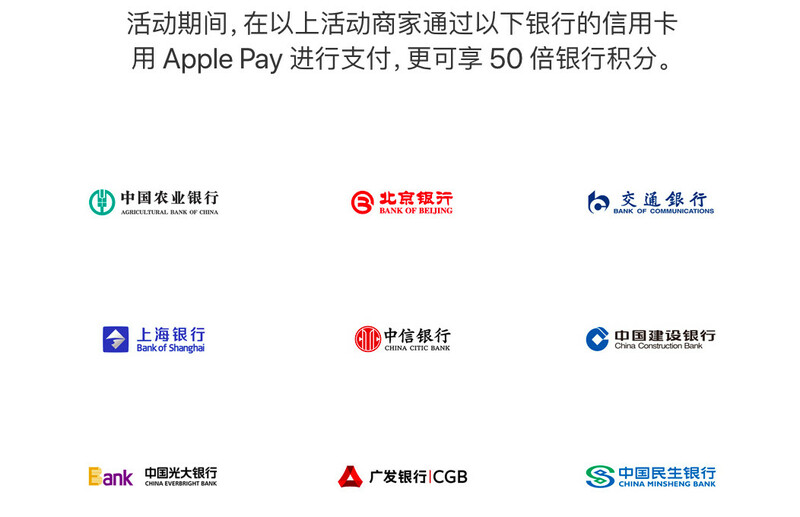 As of yesterday, customers using Apple Pay in China can benefit from a range of offers of up to 50% off if they can understand what they are and where to use them. Apple has launched its largest ever promotion for Apple Pay in China since its launch, according to a report by the SCMP. Participating retailers include Starbucks, Costa Coffee, Zhen Gongfu and the Guangzhou Friendship Store. Apple has made little headway in the mobile payments market in China where Alipay and WeChat Payments dominate, making up around 95% of the market. It does not help that iPhones—the only handsets that support Apple Pay—made up only 9.6% of the country’s shipments in the first quarter of the year. A Bloomberg report in March found that at one major Chinese bank just 1% of its 10 million digital banking customers had signed up for Apple Pay. The promotion runs from July 18 to 24 in retail stores and online. During this time period, the promotion also gives credit card points bonuses at 50 times the usual rate when spending via Apple Pay at the stores covered or, for some banks, anywhere. So far so good. But for any potential Apple Pay spenders who manage to hear about the promotion (registered users at TechNode have yet to receive notification) may have trouble using it. Promotions are limited to particular cities, groups of cities or even particular stores. Some discounts are relatively straightforward. Starbucks nationwide is offering RMB 15 off a spend of RMB 60 or over (yet with different daily store limits in different parts of the country) and Mobike is giving a RMB 10 top-up for RMB 5. Yet many of the discounts sound promising at 50% off, but have a raft of restrictions. Stores such as 7-Eleven limit that to just RMB 10. Decathlon, the sports equipment retailer, is offering 50% off but only in Shanghai, for 8,000 customers and its website asks its customers to check each Shanghai store for its individual take on the offer.